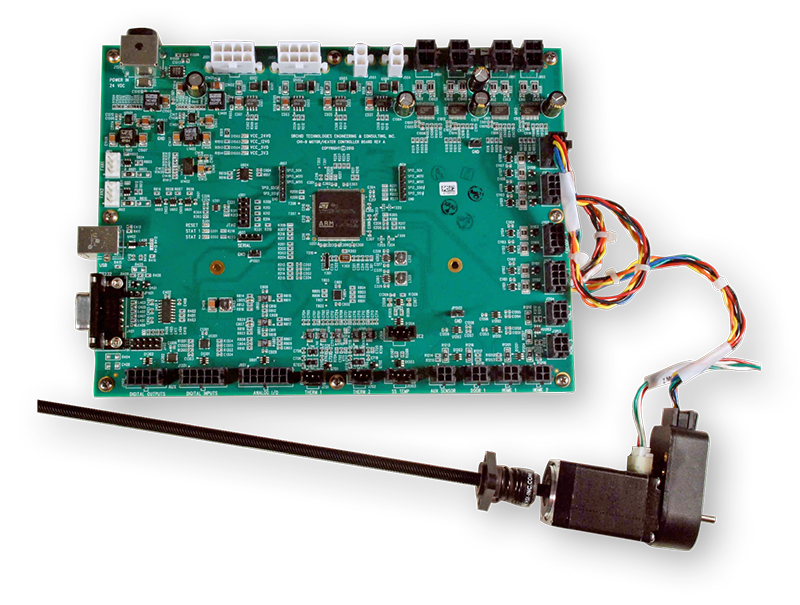 This four channel micro-stepping motor controller board supplies precision motion control processing for a variety of precision operations. Applied as dual x-y motion tables or a single x – y – z motion system. Micro-stepping controllers supply precision drive, lock and breaking currents to a series of stepper motors. Powered by an STM32F415 microcontroller, this controller board performs complex floating point calculations significantly faster than similar Cortex-M3 devices. Single instruction floating point instructions improves motion algorithm performance and flexibility. Motion control development and execution is easier on such a platform. This motion controller includes the following features. The development of custom electronic products for our OEM clients is Orchid’s entire business. The design of stepper motor controllers with rapid design cycles, demanding technical requirements, and unforgiving schedules sets us apart. Call Orchid Technologies today! 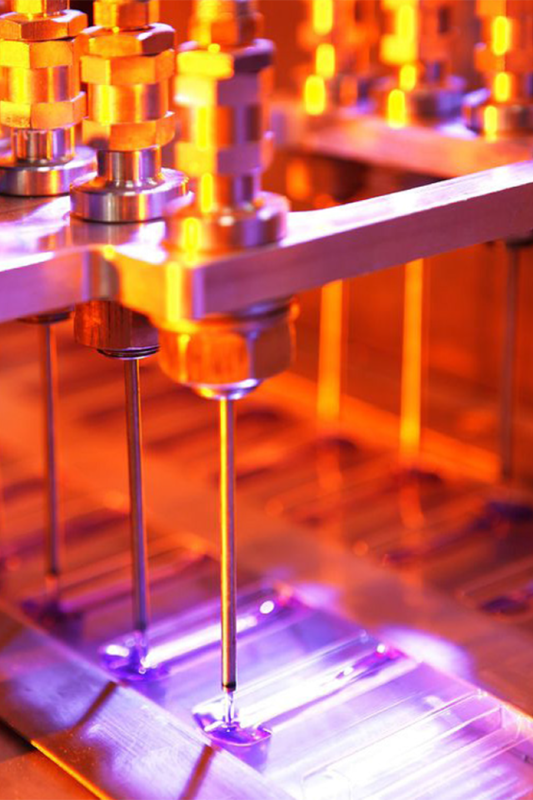 Precision motion control is an essential component of many manufacturing and scientific endeavors. Low Cost, micro- stepping motion controllers from Orchid complete the picture. "Orchid’s selection of the STM32F4xx processor was the critical insight we needed. Well done."